The Evil That Men Do introduced readers to the lifework and the techniques of FBI profiler Roy Hazelwood. Now, in Dark Dreams, Hazelwood-writing with bestselling author Stephen G. Michaud-brings us deep into the minds of his prey, the world's most dangerous sexual criminals, and reveals the extent to which these individuals permeate our society. Profiler Roy Hazelwood is one of the world's leading experts on the strangest and most dangerous of all aberrant offenders-the sexual criminal. In Dark Dreams he reveals the twisted motive and thinking that go into the most reprehensible crimes. He also catalogs the innovative and remarkably effective techniques- investigative approaches that he helped pioneer at the FBI's Behavioral Science Unit-that allow law enforcement agents to construct psychological profiles of the offenders who commit these crimes. 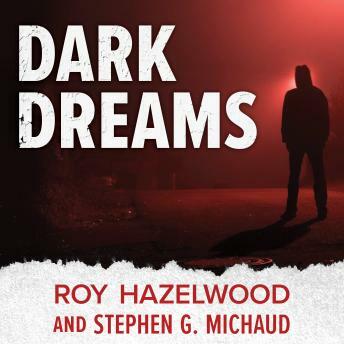 Hazelwood has helped track down some of the most violent and well-known criminals in modern history; in Dark Dreams he takes listeners into his world-a sinister world inhabited by scores of dangerous offenders for every Roy Hazelwood who would put them behind bars.